We are looking for teachers for the Information Science course, which focusses on providing our students with the highest quality of IT-related knowledge. To expand our team, we are looking for an enthusiastic IT candidate with a passion for programming and who is ready to seek out ICT solutions together with our students. You have sufficient knowledge of the principles of Computer Science: Programming (Python, C#, Java, etc. ), Theoretical Concepts (Logic, Set Theory, Functions, Algebra etc.) and Algorithms. You will be working in a team of highly skilled and educated colleagues in an inspiring environment. Rotterdam University of Applied Sciences is a dynamic knowledge institute for higher professional education. Over 30,000 students and around 3,000 members of staff are pursuing their career here - the typical Rotterdam way: through our Rotterdam Educational Model we provide practice-focused, well-considered, flexible education that allows all of our students and staff to play an important role in real, innovative projects. We teach them how to play that role and provide them with the necessary tools: an expert view, a lot of nerve, and a result-focused approach. In the centre of Rotterdam, housed at the Wijnhaven, the institute of Communication, Media & Information Technology provides bachelor’s programmes in Computer Science, Technical Computer Science, Creative Media and Game Technologies, Communication, and Communication & Multimedia Design. The Computer Science department is seeking talented and committed teachers to reinforce the course programme. Within this programme we work with IT solutions based on primarily research and analysis. Focussing on software engineering, we make use of Python, C#, and Java. You are an expert in one or more of the following topics: Distributed systems, Web Technologies, Concurrency and Parallel Computing, Database Technologies, Paradigms or Programming, System Analysis and Design, Privacy and Security, Data Science / AI. Distributed systems, Web Technologies, Concurrency and Parallel Computing, Database Technologies, Paradigms or Programming, System Analysis and Design, Privacy and Security, Data Science / AI. You have a professional working attitude: flexibility, independency, student and team oriented. Rotterdam University of Applied Sciences offers a fixed term contract (one year D3 cao hbo), with the possibility of extension. Depending on your experience and training, the salary range is in HBO-CAO pay grade 10/11 (€2,769.32 minimum and €4,892.31 maximum per month) for full-time employment, exclusive of 8% holiday pay and 8.3% end-of-year bonus. Our fringe benefits include excellent training facilities and an attractive pension scheme. 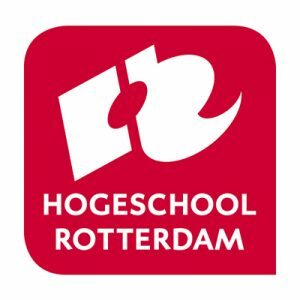 To be able to submit a certificate of good behaviour (VOG) is a requirement for employment at Hogeschool Rotterdam. For more information on this position and the selection procedure, please contact Albert Hofstede, course programme manager Computer Sciences at +31 10 794 6020.